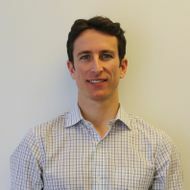 The new year is arriving quickly, and with it comes new updates and developments in the solar industry. This month’s blog is dedicated to sharing some of the recent policy changes and exciting innovations that we are seeing in the District and across the globe. Clean Energy DC Omnibus Amendment Act of 2018: The DC City Council voted on November 28th to advance a bill that would set a 100% renewable energy mandate by 2032. The D.C. bill would also go beyond the electricity sector, mandating that all public transportation and fleet vehicles be electric or another zero-emission technology by 2045. Here’s a link to the latest version of the 24-page bill itself. The Clean Energy Act is slated for a second and final vote on December 18th. DC’s grid modernization initiative: Pepco’s application to the District of Columbia Public Service Commission (DC PSC) for its Capital Grid project includes upgrading three existing substations and building a new substation in the Mt. Vernon neighborhood. Some environmentalists and residents have pushed back on the project, arguing there is a more sustainable approach to updating the grid. On a separate track, the DC PSC is engaged in a process to modernize the District’s grid. The goal of the process, Modernizing the Energy Delivery System for Increased Sustainability (MEDSIS), is to increase sustainability for consumers and make the energy delivery system more reliable, efficient, cost effective and interactive. It will be interesting to watch this play out, as this initiative will shape the electrical grid of the future! Creative solar power designs are emerging around the globe. Agrovoltaics: You’ve heard of “photovoltaic,” but what about “agrovoltaic?” Agrovoltaics (sometimes spelled “agrivoltaic”) involves co-developing the same area of land for both solar photovoltaic power as well as for conventional agriculture. A new program in Massachusetts incentivizes such agrovoltaic designs, to avoid clearing farms and forests for solar power generation. One such design in the state—a 30-acre solar farm system—is located 8 to 10 feet above the ground. It likely resembles this system, which is located in Chile. One of the world’s largest agrovolatic systems is built in China by Huawei. The 1-gigawatt system utilizes trackers and module level electronics. 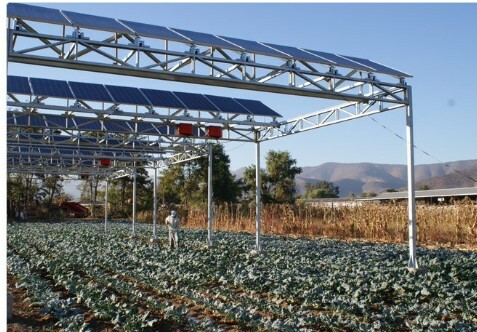 Emerging research suggests that the combination of solar and agriculture, while lowering the output of either land use compared to a “pure” installation, can increase combined agricultural and electricity output by more than 150 percent. Floating solar power: A company called Ciel & Terre has completed a 250 kW-DC floating solar plant for a water district in Lake County, Northern California. The project uses 11 anchors to anchor the solar “island” to shore. The system is also designed to sit on the bottom of the pond if the pond drains. 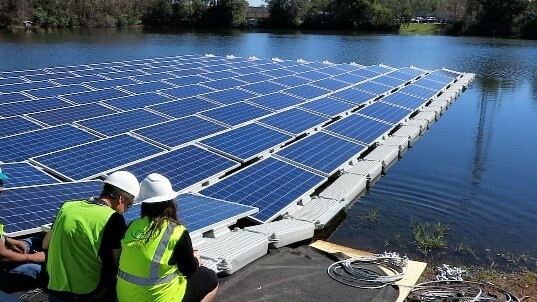 The project is one of four floating solar projects, totaling 5.3 MW, to be completed across the nation recently. Here’s an image from a project in Florida that uses modular floats that readily snap and screw together. Check out this cool story about how a Portland, OR, solar organization brought stakeholders together to help address homelessness and addiction recovery through a 100-kW solar project. More than a dozen regional companies sponsored this project by donating either products or labor. Finally, for those looking for a little extra reading, I recommend this piece from the New Yorker: The Battle for Solar Energy in the Country’s Sunniest State.